It has been so long since the last linkup. I am now back from my holiday in Peru. It was so nice to be away and spend some time with my family. I really needed to disconnect a little bit and enjoy my time there. The purpose of the trip was to celebrate my parent’s 50th Wedding Anniversary. Lately, it is not easy to celebrate a special occasion like this one. It is actually an achievement, so my siblings and I all wanted to get together and be with my parents. It was lovely and my girls had a great time! I have been suffering from jetlag this week so I have been looking like a zombie, LOL! Two days after arriving home we were back attending events. Nick and I spent the night at London Zoo in their Gir Lion Lodges. It was such a surreal experience! We woke up with the lions roaring next to us! I really loved it! Then today I spent the day at a Mumsnet event and it was super nice to see some familiar faces. I loved the event and didn’t think I could learn more tips to improve my blog but I was wrong. It was very useful and everything was super valuable! I had a great time! Is it a common thing to not really see yourself in your children? I think it's the blond hair that really throws me off with mine, it just makes them look so different to me! What is also does though is make Nerys look so like her cousins, my sister's daughters. I love seeing that family resemblance when I look at her little face. We still have 12 posts with less than 4 comments. I thought we might manage to get 4 comments per post this time with it being a long time but I guess I was wrong. I didn’t have the chance to chase the people that have not commented on the post before their post because I was out all day at the Mumsnet event and ran out of time. I will come back to checking this properly for this new link up. This week the “monthly” guest co-host will be MARIA from Suburban Mum. These are her social media accounts (Twitter, Facebook, Instagram, & Pinterest). She will also be re-tweeting your tweets this week so please add her twitter handle (@suburb4nmum) to your tweets as well as mine. Finally, she has a guest co-host post, Stocking Filler Ideas for Boys linked up too. Please if you could go there and add a comment it would be AWESOME! My first co-host this week is MAINY from Myrealfairy.com. Mainy has been featured and mentioned before. She has co-hosted this linky a few times too. She has a lifestyle blog. She embraces the mystical, quirky, literary and the fairy-like. She is based in Dorset where she lives with her 2 gorgeous sons, partner and friends. She uses her blog to express her views on lots of different things that she likes and has an interest in. I’m looking forward to co-hosting with her again. Please give some love to her social media accounts which are (Twitter & Pinterest). She will also be retweeting your tweets this week so please add her twitter handle (@myrealfairy) to your tweets as well as mine. Finally, she has a guest co-host post, Pre Empty Nest Syndrome? Is this What I have? linked up too. Please if you could go there and add a comment it would be AWESOME!! My second guest co-host this week is CASSIE from Gorgeous Georges Mama. 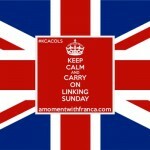 Cassie has already co-hosted this linky in May, so it is not her first time helping me. She is so lovely and very supportive of this linky so I am so happy to have her here again. As I mentioned before when she co-hosted last time she has a parenting and lifestyle blog. Please give some love to her social media accounts which are (Twitter, Instagram, Facebook & Pinterest). She will also be retweeting your tweets this week so please add her twitter handle (@GorgeousGsmama) to your tweets as well as mine. Finally, she has a guest co-host post, The Truth About Pregnancy linked up too. Please if you could go there and add a comment it would be AWESOME! The person who commented the most was BREAD from Queer Little Family. I am so happy to have Bread back to the top 3 commenting! She is always so generous with the commenting and I love her for that! She was fantastic commenting on 27 posts! Yay! One of her posts from the last link up was Opening Up And Being Open On World Mental Health Day. Please go to the post and give some more love if you can. The second person who commented a lot was VICKY from The Mummy Bubble. I’m super excited to have Vicky within the top 3 commenters! It is the first time that she is here which is fantastic! She joined this linky not long ago which makes it even more special! She has done a great job. She has commented on 17 posts! Super! One of her posts from the last link up was To the pregnant mum with a toddler. Please go to the post and give some more love if you can. The third-person who commented a lot was NICOLA from Mummy To Dex. I am so happy to have Nicola in the top 3 commenting this time! It is the 2nd time that we have seen her here! She was at the top of the commenting once back in March! It is lovely to have her back! She has commented on 16 posts! Yay! Her post from last week was 4 Nights in Mallorca with a Toddler. Please visit her post and give her more love if you can. 6. If you would like us to tweet your post that is absolutely fine, just tweet your link to me @WithFranca, MARIA @suburb4nmum, MAINY @myrealfairy and CASSIE @GorgeousGsmama and we will retweet it. 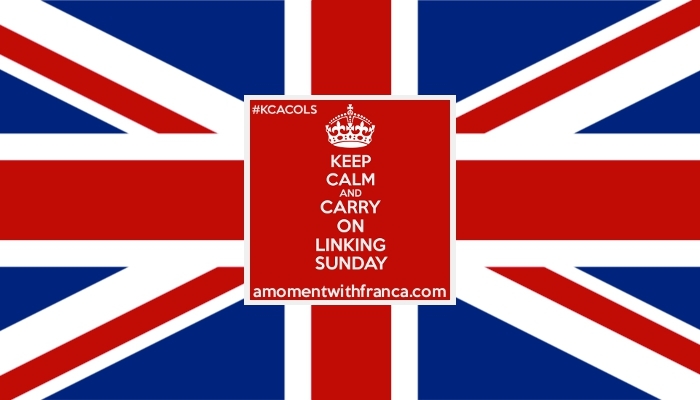 Please remember to use the hashtag #KCACOLS.